I have many memories of my childhood and one vivid memory I have is of my mum and marker pen eyebrows! My mum always loved big bold brows when she was younger and she also had quite full but fair brows so every week she would tint them with the darkest blue black eylure tint and leave it on for literally hours, hours I tell you until it was almost impossible to remove… so as you can imagine mother had rather bold brows for many years and thankfully bold brows are very in right now not that my mum cares hey she has been on this trend since the 80’s! Over the years my mums brows have got a little thinner with regards to hairs, she has very fine hairs and there isn’t much there so about three years ago she decided to have permanent brows tattooed on however they had faded and she has been filling them in for quite a while now and was due a top up so when we were kindly invited to visit Tracie Giles who is known as a leader in permanent makeup cosmetics and has had over 25 years experience with permanent makeup aesthetics and a number of celebrity clients we of course jumped at the chance. We booked our tickets to London and made sure we had plenty of time for our appointment and some shopping of course, the clinic is located in Knightsbridge and just a few minutes from Harrods! We were greeted by super friendly staff upon arrival and offered drinks straight away and then we met the lovely Tracie who was instantly warm and inviting. Tracie and mum spoke about her previous treatment, what she liked and didn’t like about her brows then Tracie discussed with mum what she thought would work best this time round and got started. The first time mum had her brows done she had them completely coloured in which is also known as block colouring and after having them done she wasn’t 100% happy with them, Tracie said that 3D hair strokes and a combination of shading would look much better and in fact more natural which was perfect and just what mum was after. Tracie started by drawing the perfect brows using the shape mum had already applied for reference and Tracie then worked to perfect that further making some fine tweaks, making one brow slightly thicker in places to match the other brow ect. Once the shape was agreed on Tracie then added some anaesthetic to the area to ensure the treatment was as comfortable as possible, the feeling will differ from person to person but mum described it as a scratchy feeling which wasn’t too uncomfortable. Tracie worked on mums brows using her signature technique to replicate the appearance of actual hairs, she used two colours to create an even more natural and 3D effect which worked really well. Mum didn’t opt for black this time, instead she had a deep toffee pigment and auburn to match her dark hair. 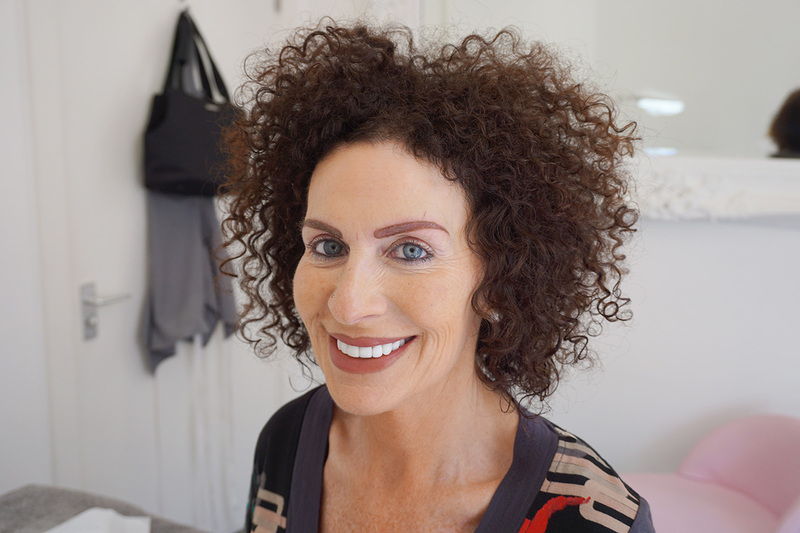 The beauty of this treatment is that you can choose to have your brows exactly how you wish, if you like bold then you can go bold or if you prefer something a little more natural and just defined then you can go for that also. The above picture is 2 days after treatment, as you can see they are looking quite bold and a little shiny due to the cream she has on top, but the treatment is not finished yet and the colour will fade by more than 50% over the next few weeks, the hair strokes and shading will also appear much clearer. Mum is due to go back in around 6 weeks time to have the final treatment done and at this appointment Tracie will complete mums brows and make any final touches needed. Mum loves the darkness they are in this photo so as they will fade Tracie mentioned when mum goes for her top up she can add darker hair strokes also depending one what mum wants. 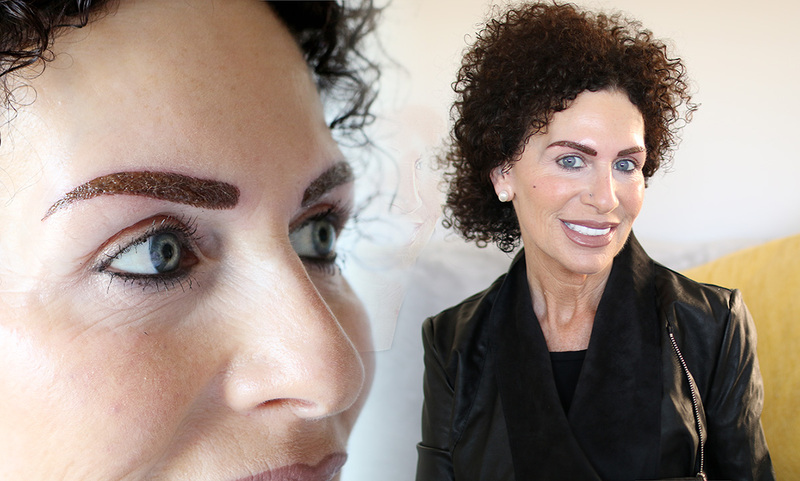 It really is a bespoke treatment and Tracie works really well in creating the perfect brows for each and every client. Overall we had a great experience at Tracie Giles, Tracie is an absolute gem and is such professional she works hard to create perfection with every client and you can really see how much she loves her jobs it really is her passion and her work shows that. 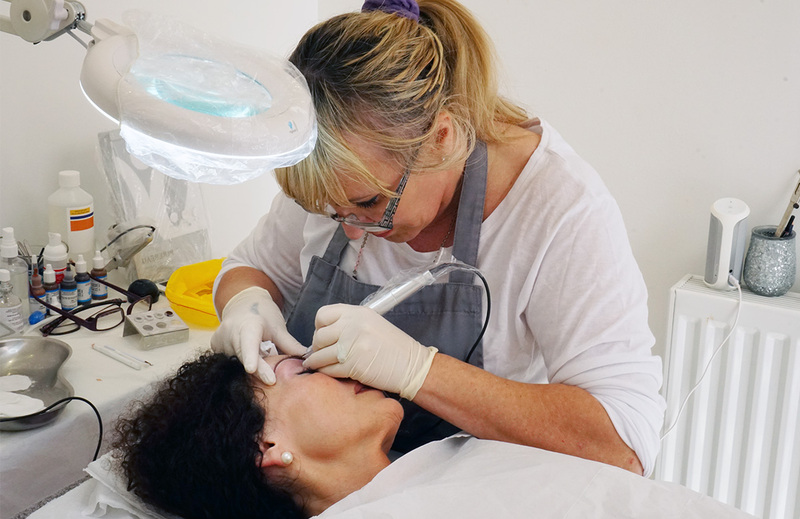 If you are looking for somewhere to have permanent makeup done I’d highly recommend the Tracie Giles team, each and every member of staff will take their time with every treatment and make sure you get exactly what you are after. 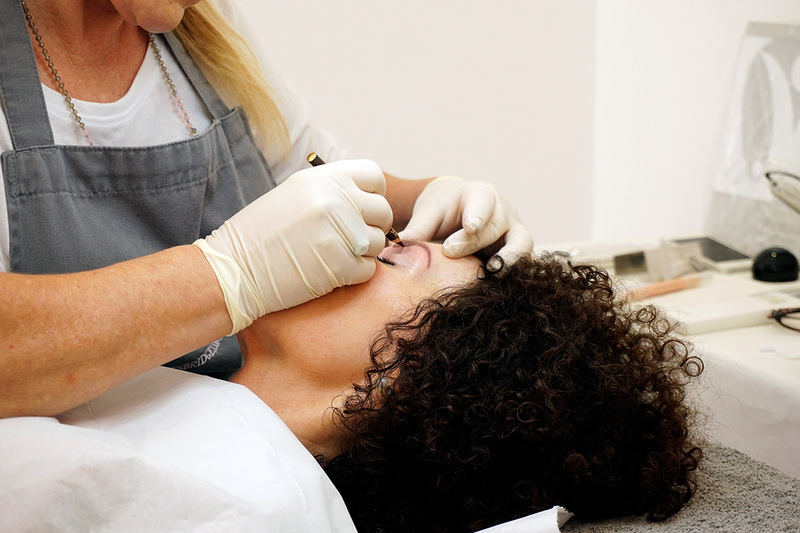 There are a number of treatments available from Permanent brows to gloss and go lips and even beauty spots, for a full treatment list click here.